Can anyone condone Bocellism after hearing this? I am grateful to a fellow contributor to a classical music forum for bringing this to my attention. For those who seem to believe that the Bocellism is anything other than a fraud of marketing hype, I would urge them to listen to this stomach-churning effort from Donizetti's 'La fille du régiment',... show more I am grateful to a fellow contributor to a classical music forum for bringing this to my attention. For those who seem to believe that the Bocellism is anything other than a fraud of marketing hype, I would urge them to listen to this stomach-churning effort from Donizetti's 'La fille du régiment', the famous tenor aria 'Pour mon âme'. Then listen to it sung by a REAL tenor (in this case the late, great Pavarotti - who for some inexplicable reason - perhaps when he had wax in his ears - advocated the Bocellism's 'art'). I would read with interest any meaningful defences of the great unseeing fraud that is the Bocellism. 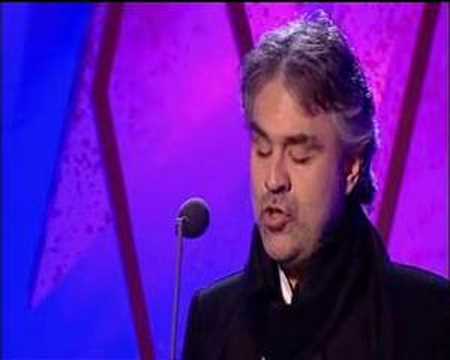 I'm sorry if you didn't realise but 'the Bocellism' is my name for Andrea Bocelli. There are no theatrics to object to. In fact, some theatrical gimmicks might help take one's mind off the appalling vocal strangulations. What I object to is that this fraud makes money out of not being able to sing - just because (as his marketers will always remind us) he is blind. regular and longstanding contributors to the classical section will know (or remember) that I often refer to Bocelli in this way (like a nasty creeping malaise). Although I heard of 'bocce' for the first time a short while ago (we don't have it here in the UK), I had no idea that 'boccellism' (subtle difference in spelling to my invented term) was actually a real word. Imagine my surprise! You learn something every day and now I understand suhwahaksaeng's confusion better. I suspect this will not be one of my more successful questions in Y!A. I thought you knew me better than that by now. You should know that I enjoy a wide range of music outside of 'CM' and similarly enjoy a vast array of singers in many genres. I even enjoy David Surkamp from the band Pavlov's Dog - an acquired taste if ever there was one! So please do not think that I am against non-classical singers; I am not. I only object to those who pretend to be (or allow their publicity machines to pretend for them) that they are something they are not and that they are better than they are. I disagree with nearly everything you say (but, as mutually respectful colleagues, I'm sure you are used to that by now). I don't think that the fact that many young people are ill-educated and have low expectations is a justification for anything. More, it is a terrible indictment of our increasingly superficial, facile, celebrity-obsessed society - something I think we should all be fighting against tooth and nail. Any the marketers who plug people like Josh Groban (sp), Katherine Jenkins, Paul Potts, Russel Watson and the execrable Bocelli DO try to convince people that what they do is 'opera'/'classical music'. Goodness, there is even an atrocious new festival in England which bills itself as 'the country's first classical music festival' (I beg your pardon???) which consists almost entirely of crossover pap. That's what I object to so vehemently. Best Answer: a very good question! (if we can call it a question) I can't agree with you more! The very first time I heard Bocelli sing years back, I didn't like it. To my opinion and with my limited knowledge of classical music, I feel there is no passion in his singing, there is no TRUE feelings in it, it's almost like the feeling you will get if you ask a 5 year old to say "I love the new medical insurance policy that will pay off our bills"! 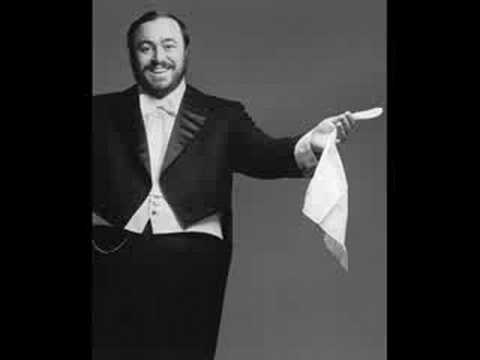 I can't be touched by his "nesun dorma" or "che gelida manina" etc as how I would clap my hands off for Pavarotti. Some people argued with me that maybe because he's blind which as we have been reminded all the time, he might not get the feeling as we do. I don't know how or since when he's blind, but can we use it as an excuse to make him the "great tenor after Pavarotti" as some addressed him? while there are many many other better ones who studied hard and worked hard to be at where he is? so they will be able to achieve it only if they pop themselves blind? I feel very unfair for others. And just for the record, one of my musician friend who is a great violist, was in the orchestra where Bocelli came to sing, he told me "gosh Bocelli got NO voice, it's not like when we play for Pavarotti, you almost have to use ear plugs if you are near him...." why not his PR or himself see the truth (come on, I do think they know he's no good as Tenor) and try to promote him as broadway or pop singer? I guess I will never get a satisfying answer to this one. This is just my very personal opinion, whoever don't agree with me, please don't take offend. There really is no comparison between the two. Pavarotti gave a dynamic beautiful performance, while I'm afraid the only compliment I could give to Bocelli is that he sang most of the notes in tune and in time. Though my preferred tactic on these things is simply to ignore people like Bocelli and instead spend my time listening to those with talent. Andrea Bocelli, like Josh Grobin (at least these two) are NOT frauds. They are sincere 'entertainers' who dip their wicks in classical rep, though I agree with you there is no real classical delivery there, let alone the expected technique and musicianship. or 2) Others give a semi-defensive rationale, a palliative sort of argument that this will stir a longing for the real thing amongst the uninitiated, and therefore, for example, "would rather see my children exposed to this," than other 'lesser' pop music. Pop music and pop presentation are all POP (sugar 'n' water, carbonated fizz) regardless if it is Barbra Streisand mangling Hugo Wolf with her tiny voice nearly drowned in a chthonic sea / bubbling hot tub of a synthesizer arrangement, or Andrea Bocelli or Josh Grobin having a go at an opera aria. I fail to find too, either charm or revulsion in a common enough disability, and common enough to some famous musicians and composers as well. Would someone feel better if Bocelli was quaintly dressed in rags, sitting on the cobblestones in an Italian village, charmingly singing local folk songs while holding out a tin cup? Would we forgive him more if he were a George Shearing or Art Tatum? I'm not long awake, so my 'social editors' are less in place than usual, ergo I'll close. But, edited, still wonder why some of 'us classical folk' cannot seem to get over this phenomena. '"We," and classical music, have survived Florence Foster Jenkins, Liberace, "Streisand sings the Classics," and all the other pop crossover fol-de-rol that could be. Leonard Bernstein's "West Side Story" has survived the composer-instigated (and advocated) recording of that show with an all star operatic cast + full symphonic ensemble: It Could Not Sound More Ridiculous / Egregious unless it was simply re-done in similar fashion. Yes, more than anything, I am wearied of seeing these popsters names appear in the classical category (in this instance, again, I could say "Why is this in Classical? "), but so too am weary of 'sheet music' questions, regardless of the repertoire printed on the page / 'Tabs' / "the best ever...composer, pianist, cellist, conductor / the fastest pianist of all time ever - and all the other things ONE SHOULD EXPECT from young people old enough to reach a keyboard and hit "enter." Since I well recall your resounding statement you don't tolerate stupidity very well (I partially agree - it should not be accepted) I urge you to remember there are several galaxies. distance between true stupidity and youthful naivete - the latter, merely very young (regardless of age, if you are new to something) and not yet fully formed - which most of all includes un-formed and uninformed taste. There will never, truly, be a fully rational accounting for taste. "del_icio...", I think you're being a mite hard on the poor fellow. You often to me at least, seem to be not cognizant of the fact that you view any and all things having to do with CM, from a very rarefied perspective. Being very well-educated as you are, and involved in the musical management profession in which you've be engaged for quite a few years now, gives you a great advantage over most, when it comes to assessing the talent of and rise to prominence of any musical artist. I've never particularly cared for Mr. Bocelli's singing; but then I've also never given him much thought. A lot of the Seniors I know, just rave about him - much as they did Liberace in years past: Bocelli I can consider, and just respond with, "ho hum"; but then, Liberace.......my evaluation of his......."talent", is best left unexpressed. but I don't understand what you mean by Bocellism. Do you mean cheap theatrics? I don't see any cheap theatrics. If Bocelli's promoters capitalize on his handicap, I haven't been aware of it. I purchase his CD of La Boheme. There is no mention of his handicap in the accompanying booklet. In fact, I never knew he was blind until I read about it in the reviews on the Amazon Website. You said, "I'm sorry if you didn't realise but 'the Bocellism' is my name for Andrea Bocelli." How would anyone know that? "Boccélism is a backyard game that is a blend of boccé, horse shoes and bowling. It is a game of skill, finesse, style and spectacle." I heard US police use dogs that sniff drugs,surely NO drug use should be condoned human or animal and they? Why do people condone beheadings but not waterboarding? Do you condone the death penalty? Does Orthodox Judaism condone having Pagan buddies? Why is Brandenburg concerto 3 so beautiful? What is the classical music passage that has frequently been heard in animated features in peaceful, pastoral scenes?